With our years of experience & in depth knowledge in this field, we are engaged in offering a quality-assured array of Stencil Cleaning Rolls. 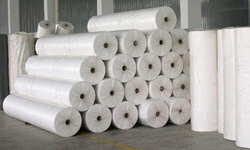 Being a well established-organization, we are engaged in providing a distinguished range of Cleaning Cloth Roll. 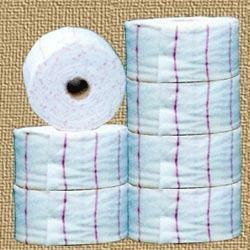 AJM textiles provides wide range of flannelette rolls which can be used for cleaning purpose. The product is made from high quality fabric and is also cost effective. It is soft, making it easy to clean surfaces. Multipurpose cleaning rolls to tackle your toughest cleaning jobs. SMT Stencil Cleaner quickly removes solder paste from stencils, squeegees, printers, tools, machinery and PC boards, leaving no residue. - Roll of 50 Cleaning Wipes for Wet or Dry Cleaning. Leaves Surfaces Sparkling Clean. Fluoron’s “BCS Roll Cleaning System™ is the most efficient roll cleaning system. Increased drying efficiency reduces steam costs. (Patent Applied For). Our best quality of Kitchen Cleaning Paper Roll is accurately designed utilizing superior quality inputs and is high in demand.